As an ambassador of peace, Pocahontas is swept away by London's "curious" customs. 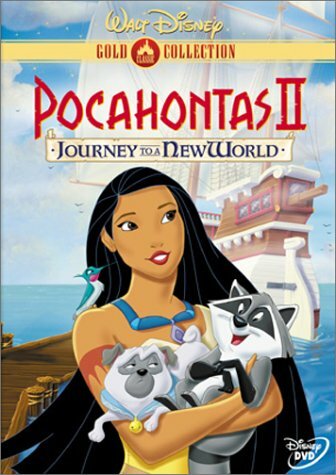 Attempting to fit in, she makes friends with the dashing English diplomat, John Rolfe, and Mrs. Jenkins, his lovable housemaid, both of whom help Pocahontas prepare for the Hunt Ball. There she must convince the King of England that her people are truly civilized in order to stop the armada moving against them. Pocahontas soon finds herself at odds with the scheming Ratcliffe, but when a mysterious stranger comes to her rescue, the courageous Pocahontas must choose between the love of her past…and the path of her future.